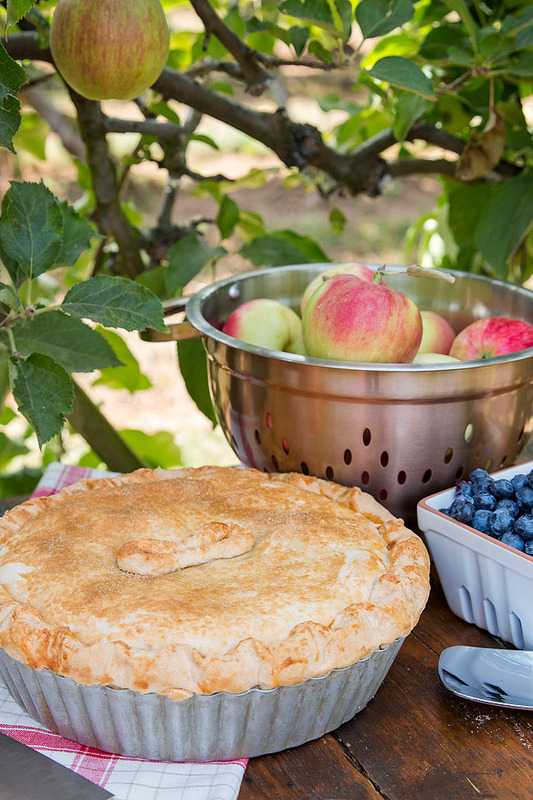 Oh, for the love of pie! I can’t believe it is already apple season. 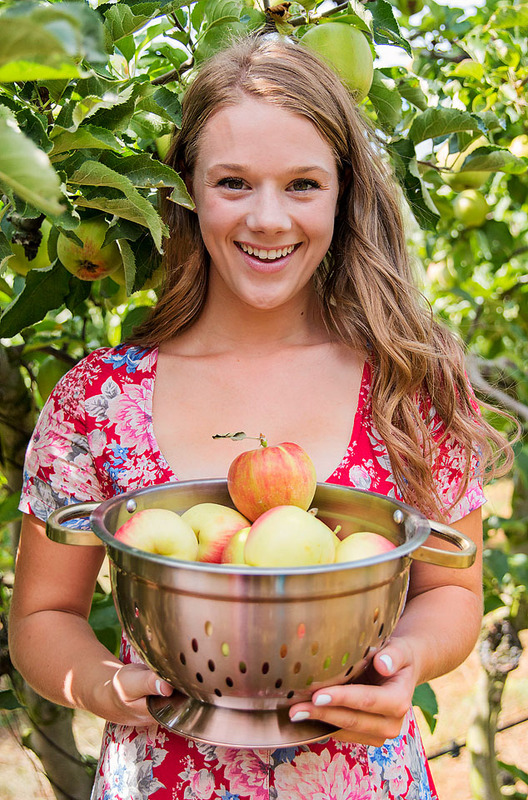 There is nothing better than crisp, fresh apples. The grocery store apples in the middle of winter don’t even come close to comparing to the fresh ones. I am a huge fan of apples. They are one of my favorite fruits. I often eat them cut in slices with peanut butter. My dad is fan of apple pies, so I have been making them for him for a long time. 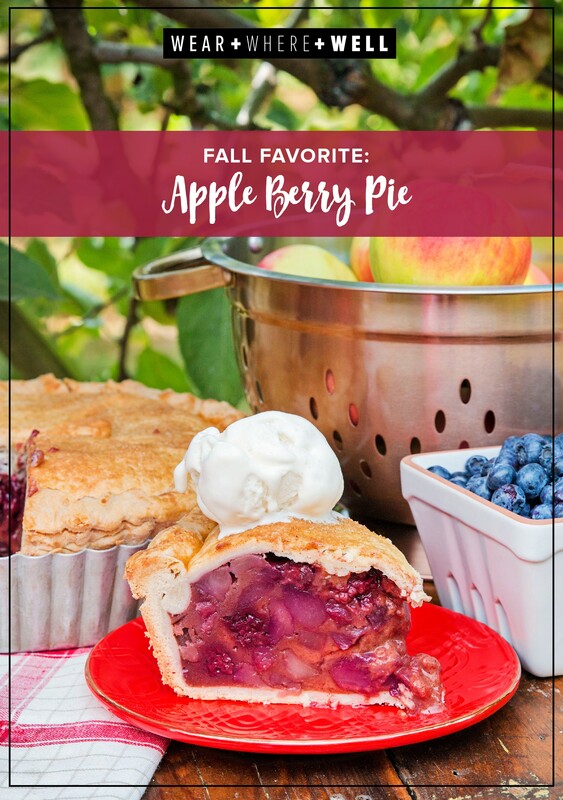 He loves it when I add other fruit to the pie, like you see in this apple berry pie. 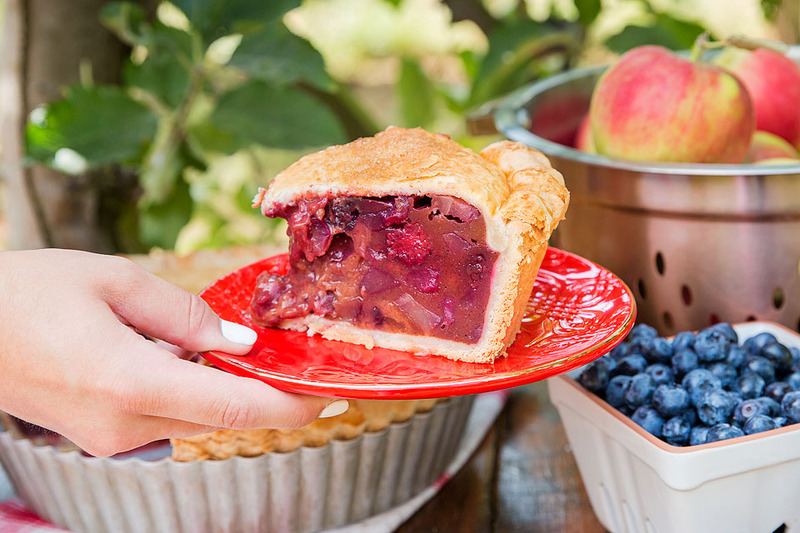 This pie is so full of fruit, you won’t feel guilty about eating it for breakfast. Just skip the ice cream because that would possibly be pushing the boundary for acceptable breakfast food. I usually make deep dish pies in a tart pan. 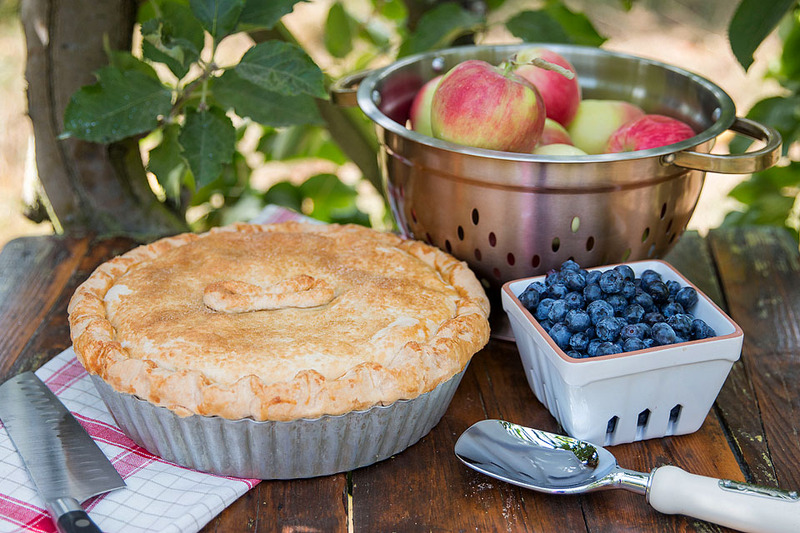 Once completely cool you can easily remove the pie completely from the dish making it super easy to cut and serve. That is my mom’s pie trick! The recipe below is for a regular dish pie since that is what most people make. To make it deep dish, double the filling components and increase the baking time to 60 to 70 minutes or when it is golden brown and bubbling. Don’t forget to add your initial in dough on the top of the pie. It’s always a B for me! Are you ready for fall? Can you believe the first day of the season is tomorrow? Now if only the temperatures would follow suit! 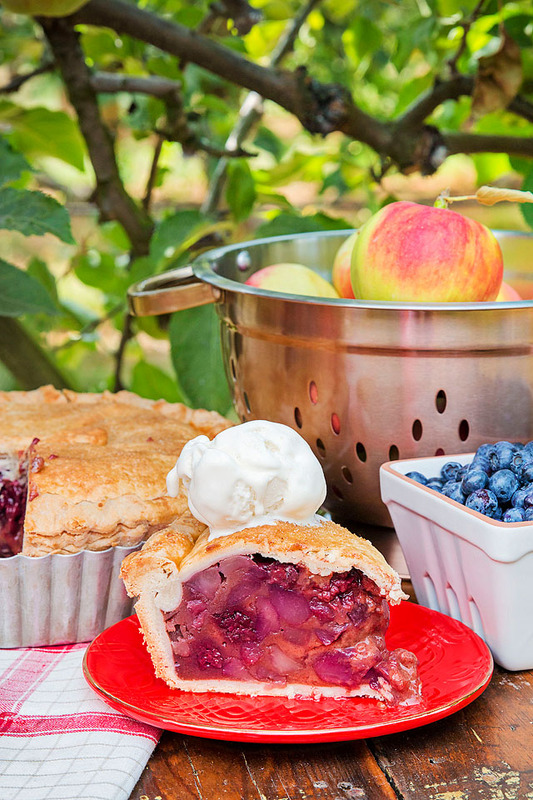 If you make this apple berry pie, be sure to let us know. See you back here tomorrow morning!